I know that when you compare the trailers for Avengers: Infinity War with the actual film, we saw actual shots of the Hulk running into battle with his team. I have no idea if those were at one point a part of the movie and then they ended up switching it up, or if it was just a way throw audiences off. But, there was one scene in the film that I know was originally planned that was never used. That scene included Bruce Banner (Mark Ruffalo) in the heat of battle on Wakanda in the Hulkbuster armor. At one point, he was supposed to turn into the Hulk while in the armor and explode out of it! I was really looking forward to seeing this scene and I was a little disappointed that it didn't happen. But, after seeing what they are doing with Banner and the Hulk in the story, I understand why he never turned. Hell, the scene was supposed to be such a cool moment in the movie that Hasbro and Funko Pop! even made toys for it! The Hasbro toy was revealed a couple of months ago, but now it's actually on sale. "Imagine Hulk bulking up and hulking out with the Hulk Out Hulkbuster, featuring lights, sounds, and phrases! 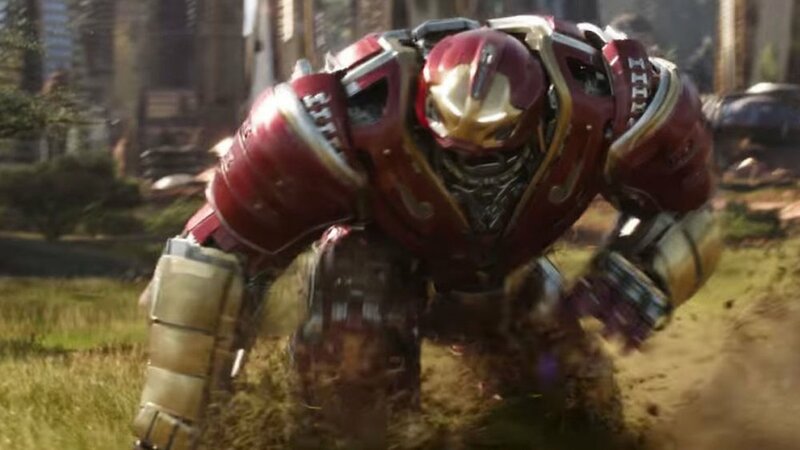 When the Hulk figure is inside the Hulkbuster armor, press the center button to activate Hulkbuster phrases and sound effects. Then, bust out of the Hulkbuster armor by pressing the buttons on the side, and send the armor pieces flying! Once Hulk is busted out, reassemble the pieces of the Hulkbuster armor to build up a 13.5-inch Hulkbuster armor figure! Press the center button on the Hulk figure for more Hulk phrases and sounds, and press the buttons on the figure’s back for smashing fist action!" Here's the Funko Pop! which will be available on May 4th for $18.99. AVENGERS: INFINITY WAR Toy Art Reveals an Awesome Hulk Movie Moment!